Nothing says I have come to party, but in a controlled safety-switch-on sort of way, like an alcoholic cupcake. They are perfect for hens/bachelorettes, birthdays, afternoon tea; events of any sort really, where there will be plenty of alcohol on hand but possibly not much soakage. These cupcakes are a way of slipping in a little safety net for those who can’t drink like a hobo at Christmas, but like to think that they can. They work well at the start of the festivities when people are sipping the classy wine, heels and hair intact, discussing political events in a sophisticated way. They are less effective if the flip-flops are on, makeup askew and the words ‘And Another Thing’ have been uttered more than once. At that stage, just start laying tarpaulin. My favourite recipes are some I have modified from Cookie Girl’s Eat Me cookbook. For those that don’t know Cookie Girl is a lady otherwise known as Xanthe Milton. Ms Milton got into baking professionally while taking a break from acting. She began selling baked goods to West London office workers, before setting up a stall in the Portobello Market, and then going on to supply Selfridges nationwide. 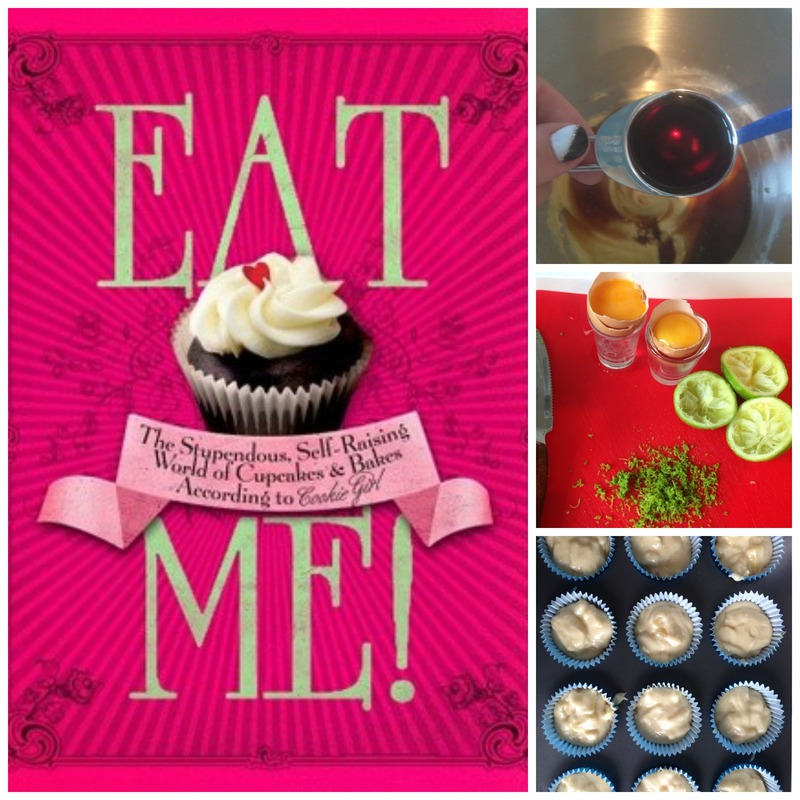 In her Eat Me cookbook she has 4 alcoholic recipes – Jack Daniels, Kahula White Russian, Malibu Pina Colada and Margarita. Myself and the Cookie Girl have different tastes in alcohol, so rather than going out and buying an expensive bottle of liquor only to use a few tablespoons, I instead modified her recipes in order to use alcohol I did have in my house. The results work very well so long as you substitute similar flavours. So for instance, I don’t have Jack Daniels but I do like the occasional Southern Comfort and coke, so I exchanged shots of Jack for Sunny C. I don’t have Kahula, but I do have Tia Maria, this exchange works quiet well. However, sometimes exchanges are not possible. Nothing tastes like tequila. It is unique. However, it would be a shame to have to fork out about €40 for a bottle only to use 2 tablespoons, so instead bring a flask down to your local pub and buy two shots for closer to €5. The barman might give you a funny look, and the bar flies might think that you are more pissed than they are, but really, if it means the success or failure of your cupcakes do you really care about their opinions? Another tip is to be careful of the decoration that you propose to use. Most of Cookie Girl’s recipes rely on the action of both the cupcake and the icing together to make the flavour, so if you plan to use rolled icing or some other decoration, make sure you have a strategy to add it on top of the flavoured icing in the recipes. I find that little cocktail umbrellas are a great way to decorate these cupcakes, because nothing says sophisticated fun like a little umbrella. However, if you have all the ingredients that she calls for, these are simple recipes that are easy to follow and have great results. fruit flavoured jelly shots count as one of your five a day though, right?